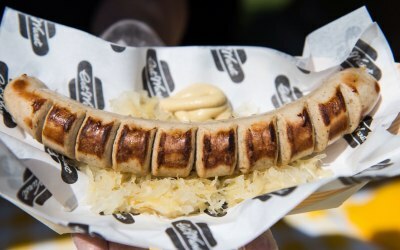 Authentic German bratwurst, currywurst and veggie wurst with beer fried onions and sauerkraut. 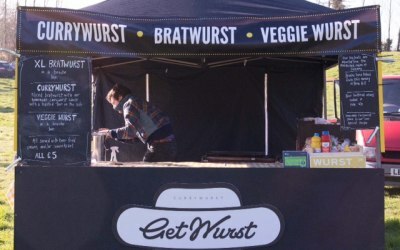 Get Wurst is run by Paul and Lindsay Melbourne, specialising in German bratwurst and currywurst. Our sausages are imported form the Munsterland region in Germany and served in freshly baked brioche rolls from our local baker. 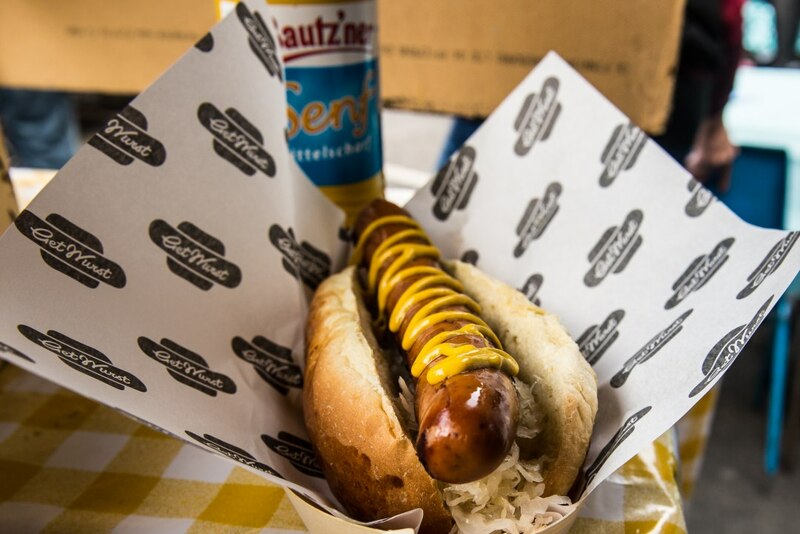 We believe that a bratwurst isn't just for a Christmas market (when they're often not done that well!) and should be enjoyed all year round! 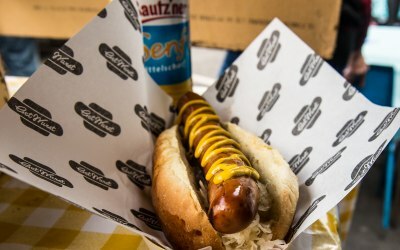 We also serve up the bratwursts sliced on a tray with our homemade currywurst sauce. 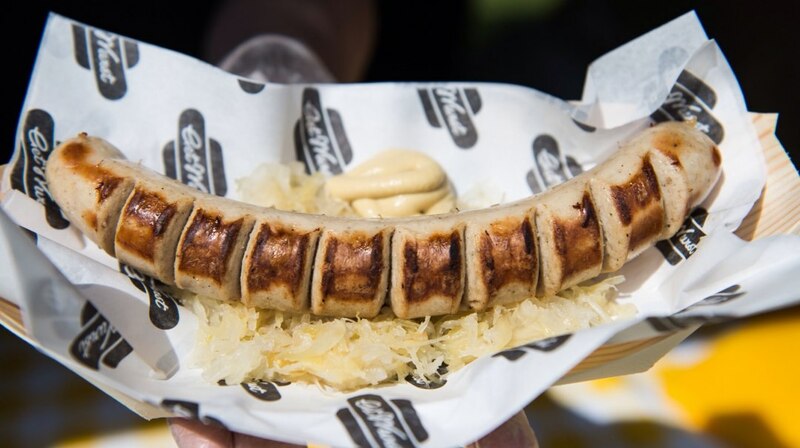 All of the above is served with beer fried onions (we use local beers at each event) and sauerkraut. 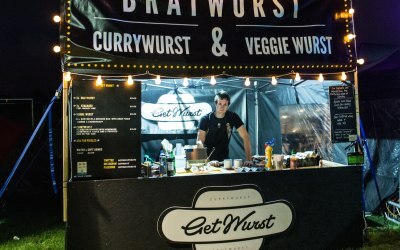 Also, our sausage man in Germany has recently perfected the perfect veggie wurst which has been going down really well and has had great feedback from vegetarians and meat eaters alike! 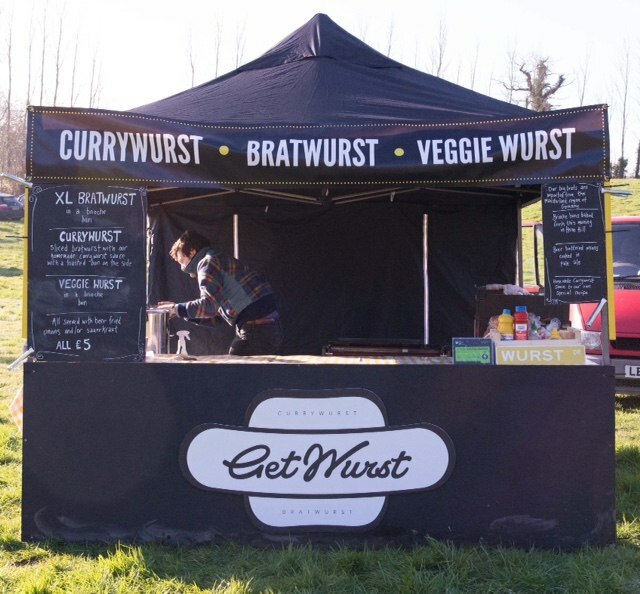 We pride ourselves on using the highest quality ingredients and serving a product that is tasty yet affordable, we cater at street food markets, festivals, sports events, charity, private and corporate events. 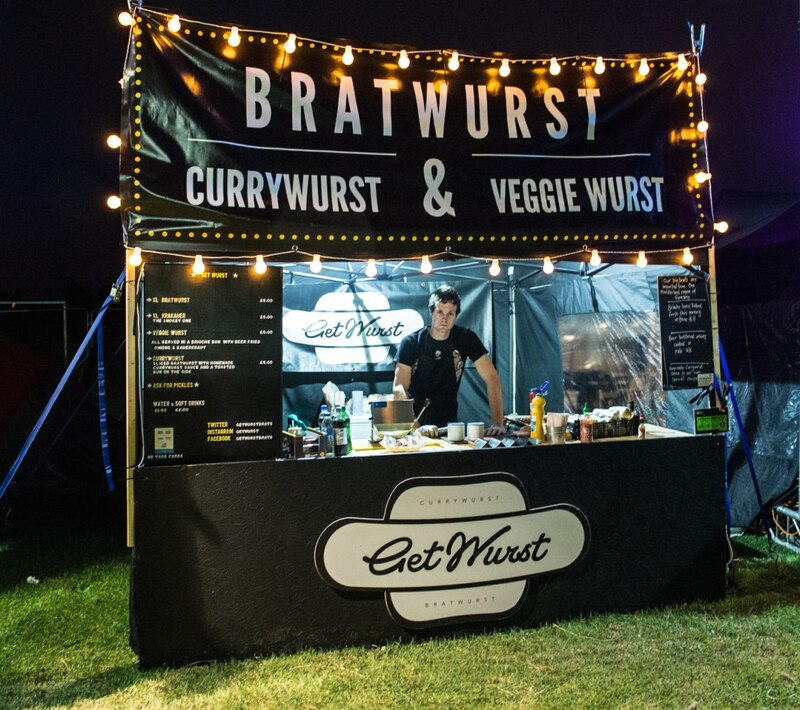 We cater at the following types of events: street food markets, weddings, private parties, festivals, corporate events, sports events, charity events, beer festivals and craft brewery open days. Great service and food for a hungry crowd! Thanks for having us Kailee, we had lots of fun and glad we were able to keep everyone well fed! Arrived on site looking very professional and very quickly they were ready to serve the public. The comments we received from everyone we spoke to said the sausages were excellent and good value for money. Great team from get wurst. Lovely people and lovely sausages! Get quotes from Get Wurst and others within hours.